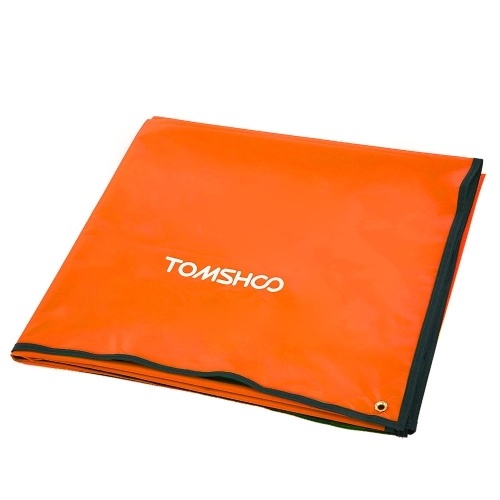 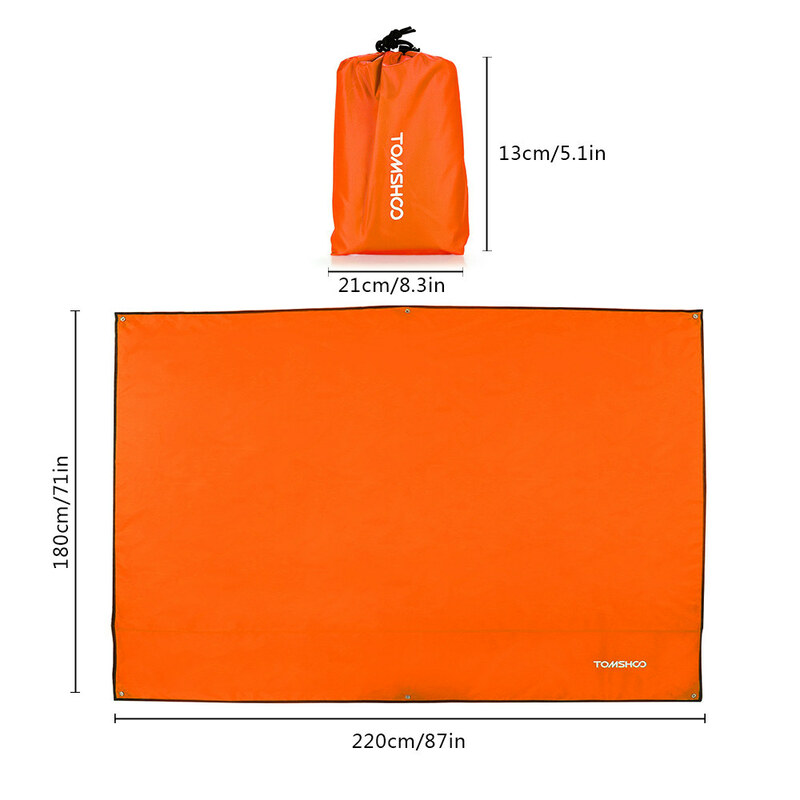 TOMSHOO camping tarp is made of high-quality 210D oxford fabric with waterproof processing, which can provide long-lasting durability and maximum protection against dampness. 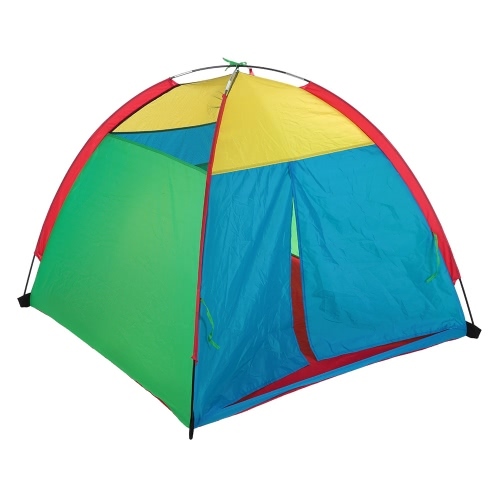 It covers a large area and offers spacious room for you and can be used as a tent footprint, picnic mat, beach blanket, rain fly and sun shelter. 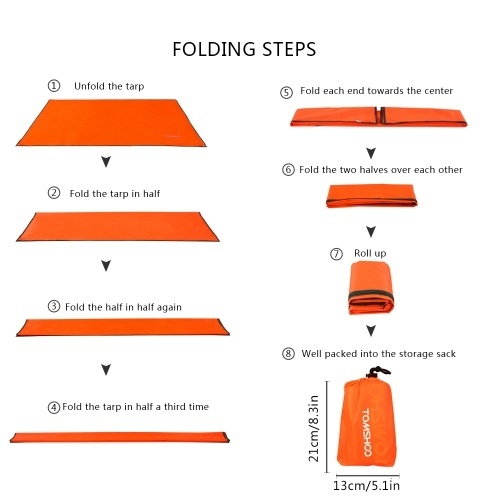 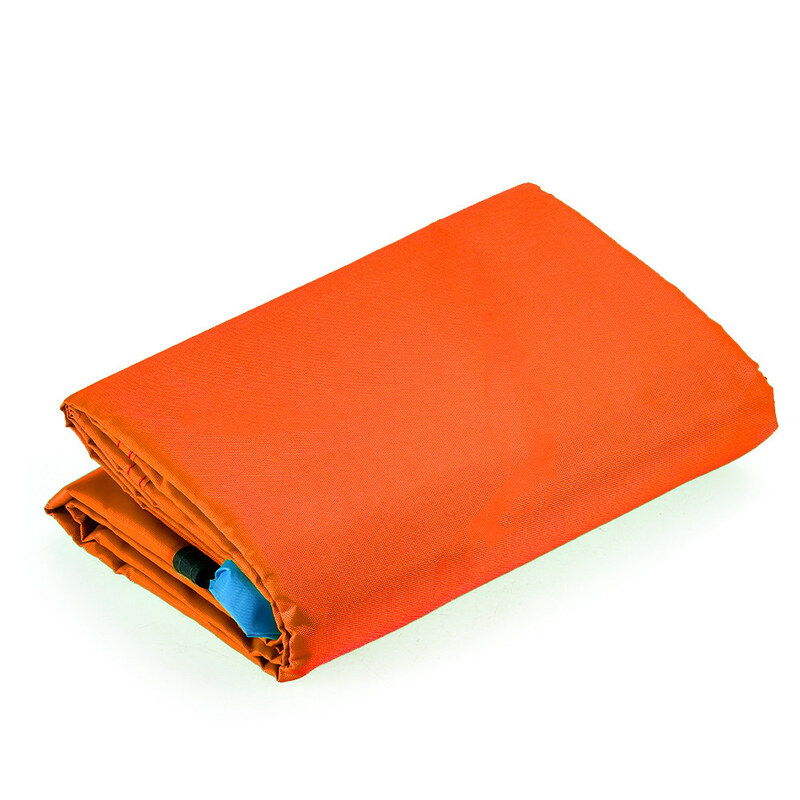 It is foldable, lightweight and comes with a storage sack for convenient carrying and travel. 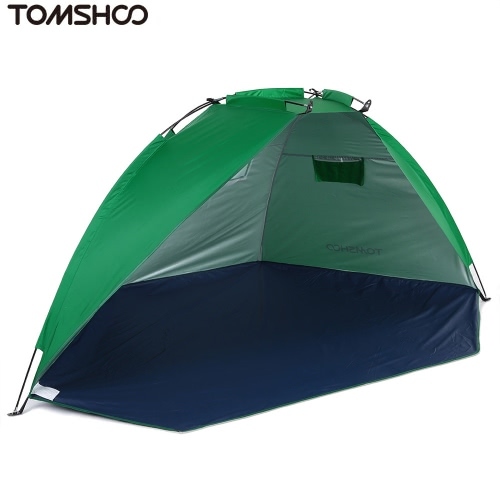 It is a perfect choice for outdoor activities like camping, hiking, picnic or going to the beach. 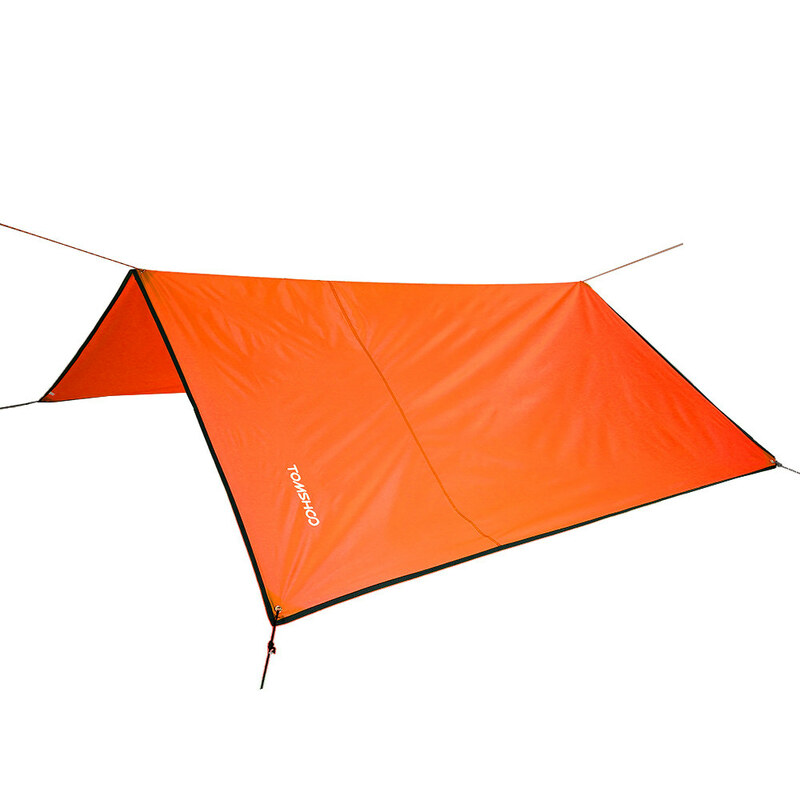 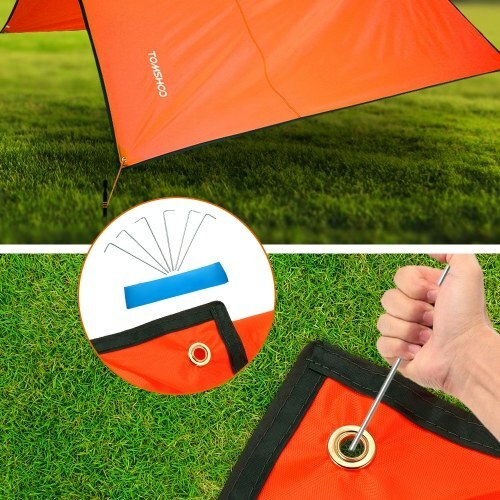 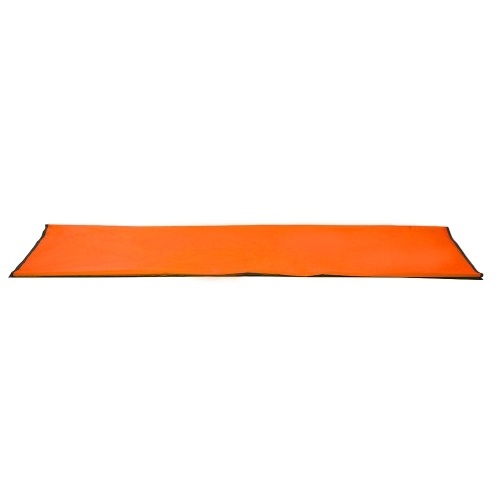 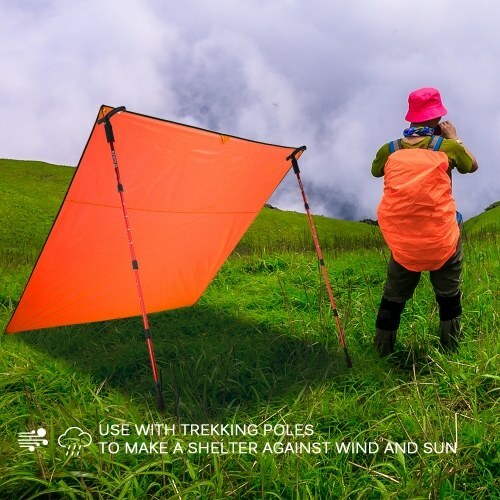 Multifunctional: The tarp can be used as a tent footprint, picnic mat, beach blanket, rain fly and sun shelter, great for camping, hiking, picnic or going to the beach. 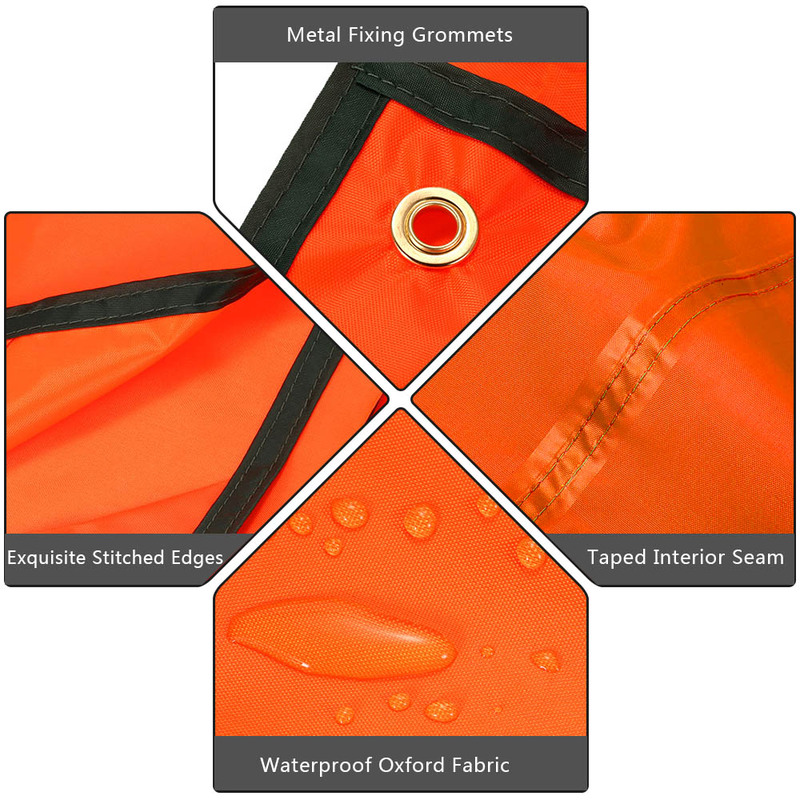 Waterproof: Premium ripstop 210D oxford fabric with taped seams ensures long-lasting durability and keeps you and your items dry in rainy days. 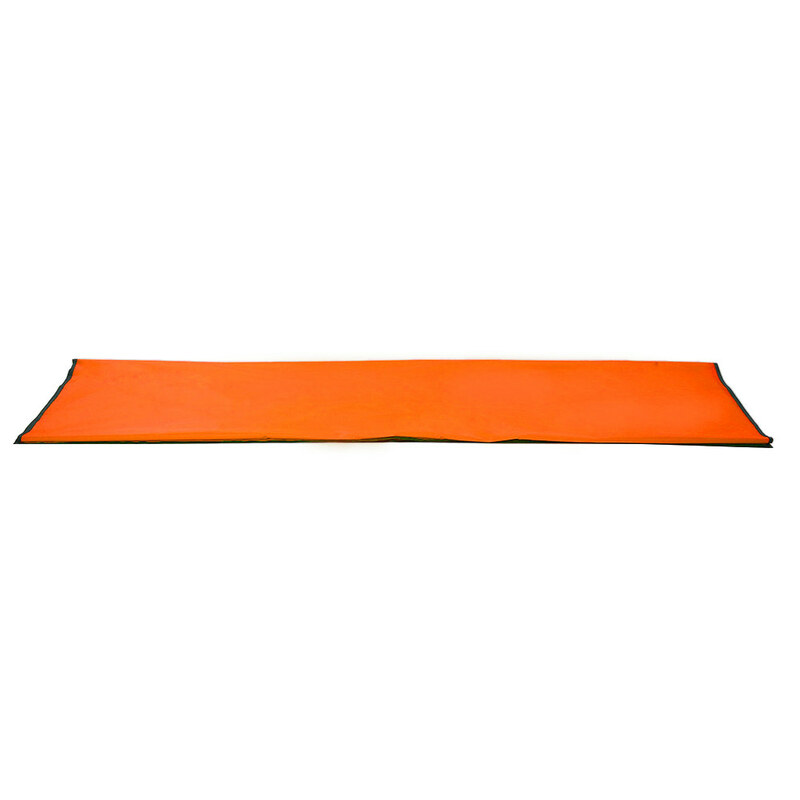 Large Coverage: This tarp is large and wide enough to offer a spacious room for you after fully unfolded: Small (59 x 87 inch), Medium (71 x 87 inch), Large (94.5 x 87 inch). Firmly Anchored: Sturdy pegs help to fix the tarp flat through the metal grommets, so it won't move or fly away in windy conditions. 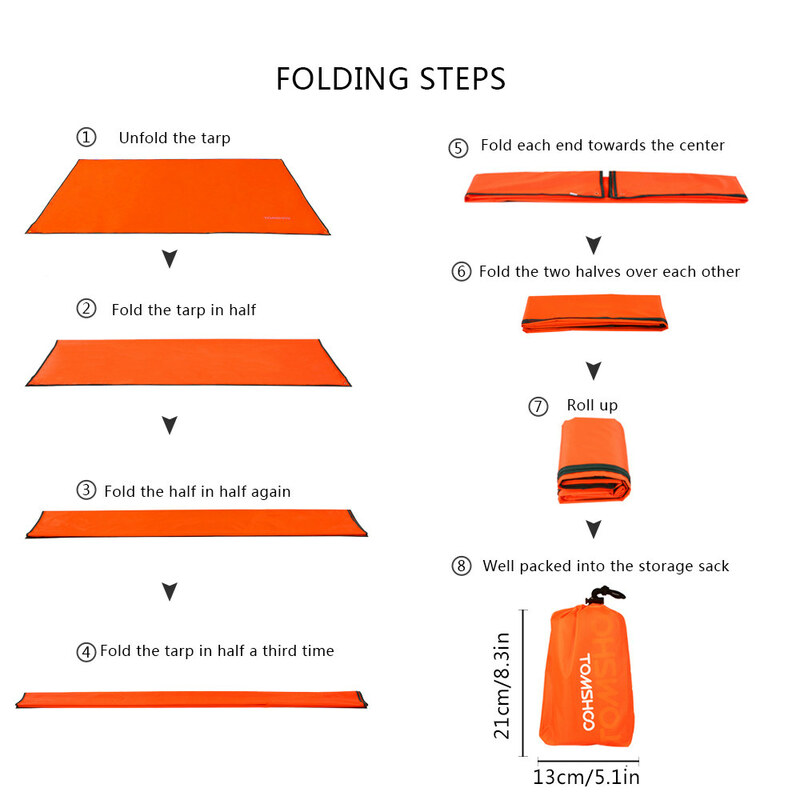 Portable: Folds compact into a compact size, lightweight and easy to carry with the included drawstring storage sack or fit in any backpack.